If you are completely new to the world of websites and the internet, then you are more likely to go for a reputed company that offers an easy-to-use website builder tool. It is obvious that you will be able to trust a name that you heard or seen several times over! And one such name is GoDaddy, which you perhaps have heard a lot in the last few years. The reason for this is that GoDaddy does aggressive advertising and you are bound to have seen its ads on TV or in the newspaper or on other websites. In fact, GoDaddy has done Super Bowl ads for quite a long time now. However, GoDaddy is more than just advertisements. It is one of the largest domain registrars in the world. So, we will discuss the website builder software offered by GoDaddy to make your life easier as far as website development is concerned. In this article, we review the ease of use for this GoDaddy do it yourself (DIY) site builder along with its other features. You will be able to decide for yourself if this website builder is ideal for you, after you go through the pros and cons of the GoDaddy website builder. 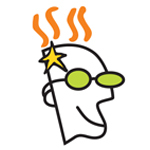 GoDaddy was founded way back in 1997. It is a Better Business Bureau (BBB) accredited company, which means that they are committed to make continuous efforts to resolve consumer issues and complaints in a systematic manner. It has the highest possible BBB rating of A+. Above all, it has managed to create a solid and reliable reputation for itself over a number of years. In 2014, GoDaddy even became the world’s largest ICANN-accredited registrar by managing over 59 billion domain names. It offers more services than just web hosting, including domain registrations, being an online provider for small businesses, SSL certificates and website building tools. However, they do not offer you the website building tools as part of their hosting package. In a way, it is pretty straight forward – if you desire to use their website builder, you need to pay separately for it. Whether you want to build a simple blog (with or without WordPress), a business website or an online store; GoDaddy claims that its site building tool helps you to do that with ease. Let’s proceed further to review the features of the GoDaddy website builder v7, which is the most recent version released. You will find the GoDaddy website builder extremely easy to use without any programming skills. But, you will still need a strong support team who can bail you out when you are stuck with an issue or when you want things to be done quickly. This is where GoDaddy emerges as a winner, since it provides a solid support system via phone, live chat and email. This support is available to you around the clock throughout the year. So, you can rely upon the GoDaddy’s support team to guide you with the functionalities of your site builder tool anytime. You may have read about GoDaddy’s support being a little slow compared to a few other top web hosting companies. But, when it comes to website builder support, GoDaddy’s customer support staff is as quick as you can get. If you are really in a hurry to get resolutions to your problems, you can contact the support team via phone or live chat, instead of via emails. With certain plans offered for this site builder, you can access more than 300 professionally designed templates. The great thing about these templates is that, apart from the variety, you also get pre-populated content (images or text) for your site. So, you will have an idea about how and where to place the content for your own website and you can replace the default content accordingly. It has a well thought out text editor that consists of appropriate formatting capabilities. You are even entitled to access to placeholder text for dynamic fields, such as your name and address. The tool offers a pretty good form builder with customising options for different fields, such as email address, file upload and text. You can place all the images, contact forms and more on your website at any position of your choice, using the simple drag and drop functionality of this blank canvas editor. All in all, the user interface is very intuitive and whether you are a complete newbie or an experienced webmaster, you will love the ease with which this site builder can be handled. The best part is that this builder is a What You See Is What You Get (WYSIWYG) type and so whatever you place in the website editor looks exactly the same when you publish the site. It helps you a lot to quickly preview the elements added while designing your site. The GoDaddy site builder automatically creates a mobile-friendly interface for your website. From the page elements that get stacked for your site’s mobile version, you can choose to hide certain elements that are displayed on the desktop version. This basic feature is not offered by many other site builders. In this age of eCommerce, you need the flexibility to extend your business services online. Whether it is for selling products online or offering services online, GoDaddy’s site builder tool is well equipped to enable the addition of an online store to your site. You can handle eCommerce requirements for a shopping cart, credit card processing and secure payments with this feature. You can also start selling online and even promote your business using smart marketing tools to boost your sales in no time at all. Once you enrol for any of the GoDaddy site builder plans, you automatically get hosting services along with it. Thus, you can focus all your attention on the site design and let GoDaddy take care of the technical issues and any security upgrades. Additionally, you do not need to pay extra for the hosting services. Only one site builder package from GoDaddy contains the built-in SEO tool. The GoDaddy SEO functionalities consist of access to the keyword and topic suggestion tool, one-click submission of your site to more than 100 search engines as well as an SEO checklist and ranking reports. Of course, these SEO services help your site to rank higher in top search engines, such as Google, Bing and Yahoo. Now, we can compare the three plans in terms of the features that vary. WHAT WEB BUILDERS DO YOU RECOMMEND?